Make the most of your studies—explore career opportunities, join a club, leadership programme, or look at studying overseas. Find out how to get a job, what career options are open to you and how to work towards your future goals. For access to part-time jobs, graduate jobs, summer work, tutoring positions, internships, work experience opportunities and a CV-building tool. Lists thousands of jobs each year, just for tertiary students—from one-off jobs to permanent part-time, there is sure to be something for you. 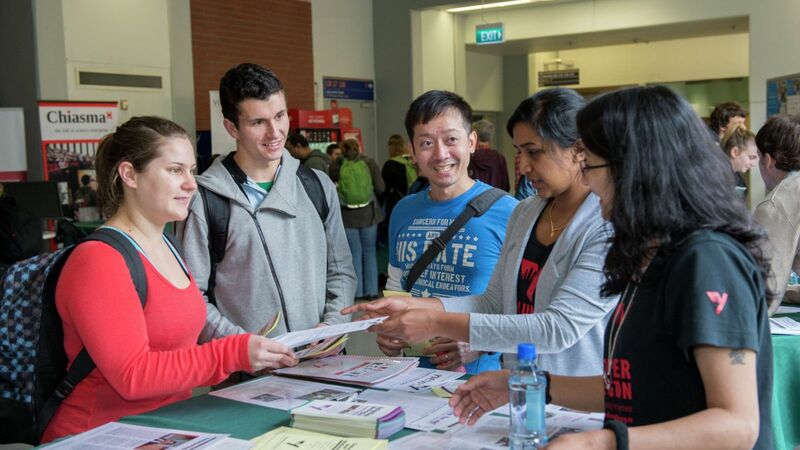 Maximise your studies—get involved in extracurricular activities. They're are a great way to boost your CV, broaden your mind, make friends and have fun. All services are run by friendly and experienced people who will provide you with information and guidance. Your student services levy helps to provide some of these services, use them when you need to. Most are available free of charge if you have a current Student ID card. Study a trimester or full year of your Victoria degree at one of 100 universities around the world. Travel grants available.